These apartments offer an attractive setting within a commercial environment. Residents will be able to walk to many downtown Grand Rapids functions. Genesis has contracted with area human service providers and funding sources to provide special on-site support services to the tenants. It has made an arrangement with Dwelling Place, Inc. to provide leasing and apartment management services. In order to be placed on the waiting list, applicants MUST apply online at www.grhousing.org Individuals are encouraged to apply for these apartments. Contact Cheryl Garner (988-3575) for information and application process or find application forms here. Tenant selection will be a joint decision by Genesis Non-Profit Housing Corporation, Pine Rest Christian Mental Health Services, and Dwelling Place of Grand Rapids, Inc. management personnel. The 27 Genesis Oroiquis permanent supportive housing apartments are located in the historic Weirich and Oroiquis buildings. 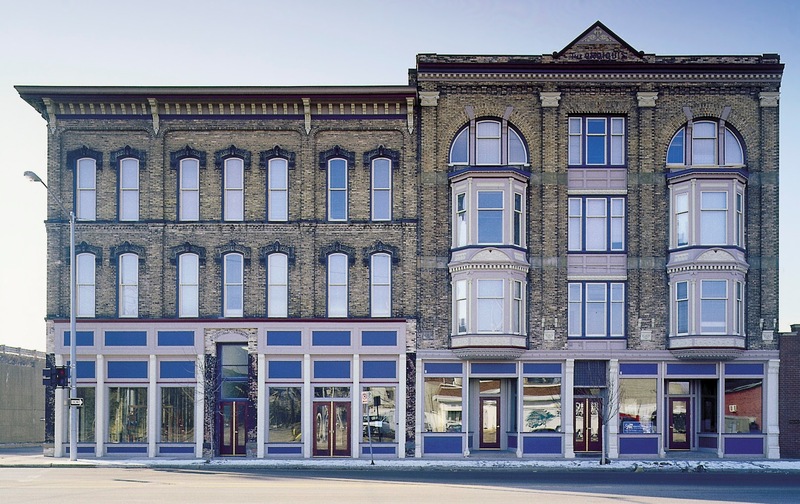 These side by side buildings were constructed in 1884 and 1893 during a time when brick was becoming recognized as the preferred building material for commercial buildings. The buildings have been placed on the National Registry of Historic Places. The Genesis renovation has restored the historic charms of the buildings and they have been formally named the Oroiquis Apartments. All of these apartments are dedicated to providing affordable housing to low-income individuals with disabilities.